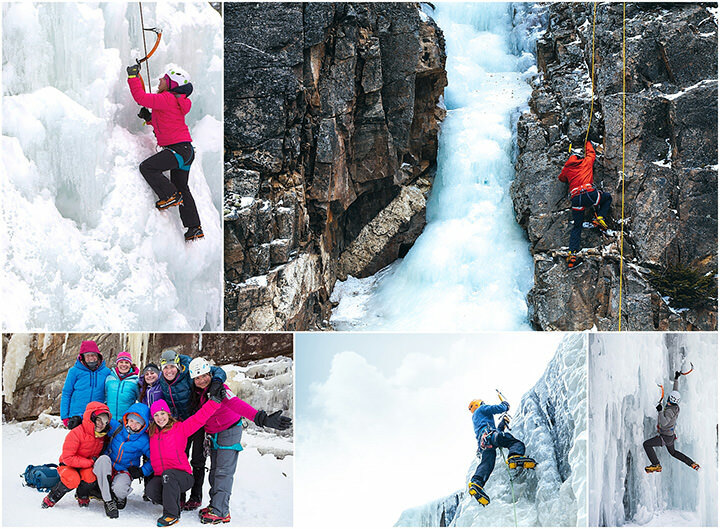 2018 Mount Washington Valley Ice Fest! A big welcome back on the blog today to our friends at Rab! They'll be joining us at Ice Fest once again this year with some awesome demo gear for you all to try out during the weekend. Check out a little bit about them at the link below! 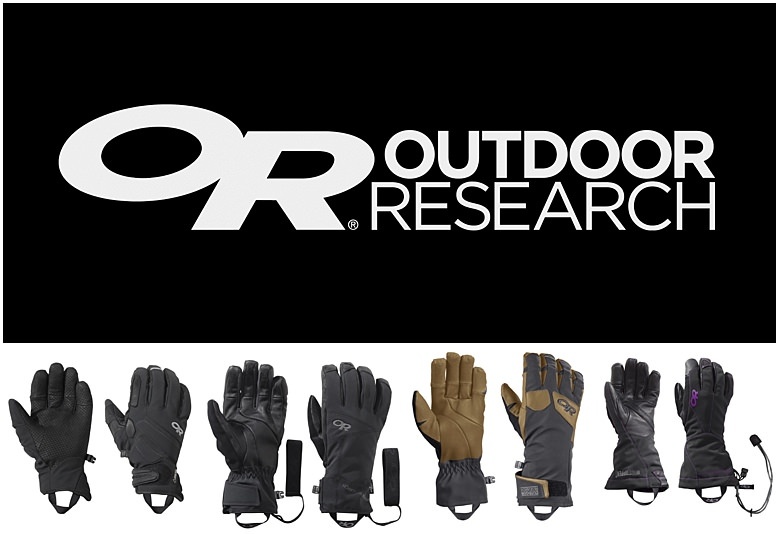 Headlining Sponsor Outdoor Research is back and bringing along their impressive demo fleet this year! Some athlete favorites are the Project Gloves and the Illuminator Sensor Gloves. Be sure to check out a pair early as these all go fast! Hey Folks! Just a friendly reminder that clinics are already starting to fill up and don't wait to sign up, or you may miss out on nabbing the clinics you're most psyched for! Below is some beta on some awesome clinics that still have some room in them! Other clinics still have room, but call the IMCS climbing school to find out! Always looking for better food options to throw in your backpack for an adventure? 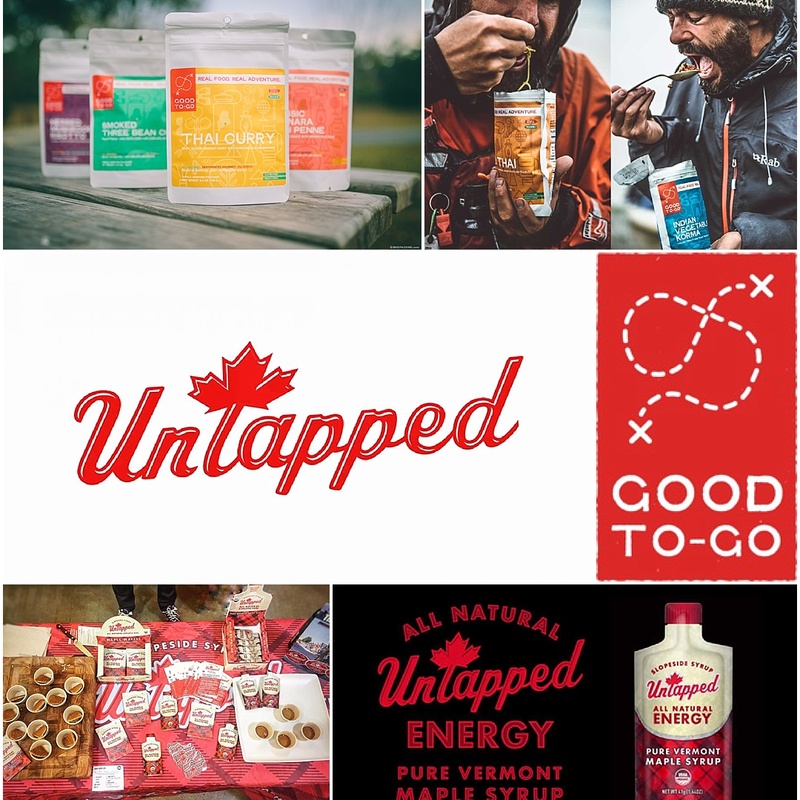 Check out UnTapped Maple and Good To Go Food on the blog today! Yummy, natural and local to New England! Janet Wilkinson and Freddie Wilkinson are back! The Benefits Of The AAC! 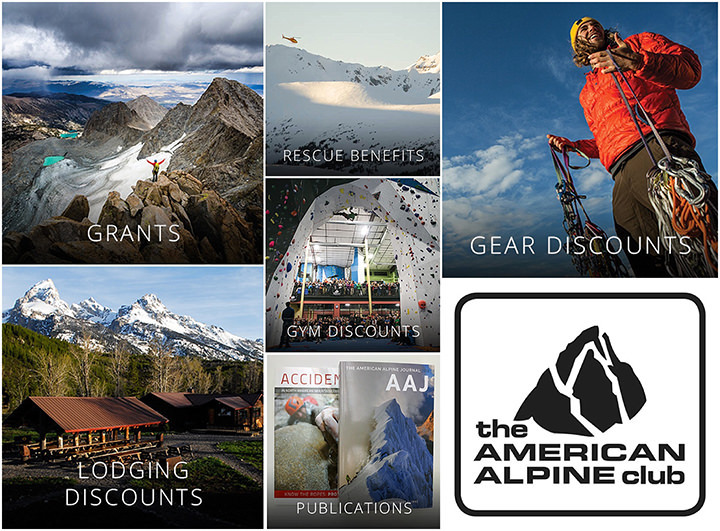 Today we want to welcome back our friends at the The American Alpine Club! Be sure to check out our blog to learn what they're all about! Their mission, vision, core values and what member benefits you receive when you join! Be sure to hit up the American Alpine Club - Northeast Region's table during the Mount Washington Valley Ice Fest! Welcome back friends! A big shoutout to the IMCS Guides! Some serious local love bundled up in our Clinic Participants Packets this year. Thinking about where to grab some grub in the valley, check out our blog today and learn who is giving some sweet discounts to our climbers! Don't wait to book your lodging! Don't wait! Don't be that annoying person that asks to stay with your friends at the last minute and hog all the hot water! Book your lodging at WWW.NORTHCONWAYLODGING.COM to receive your 20% off discount. 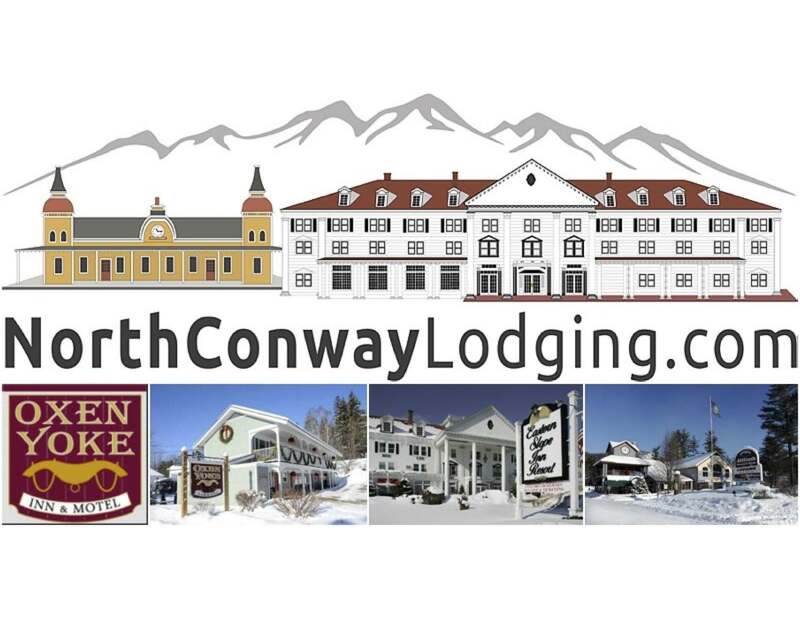 You can stay at the Historic Eastern Slope Inn Resort in North Conway Village, Oxen Yoke in North Conway, Attitash Mountain Village Hotel and Suites at the base of Attitash Ski Resort, and Attitash Motel. Call 1.800.862.1600 for reservations. Lodging based upon availability. Ready, set, call! Re: 2018 Mount Washington Valley Ice Fest! in the bottom right picture Janet looks totally badass! More Awesome Guides In The Lineup! The incredible roster of guides is still coming in hot folks! 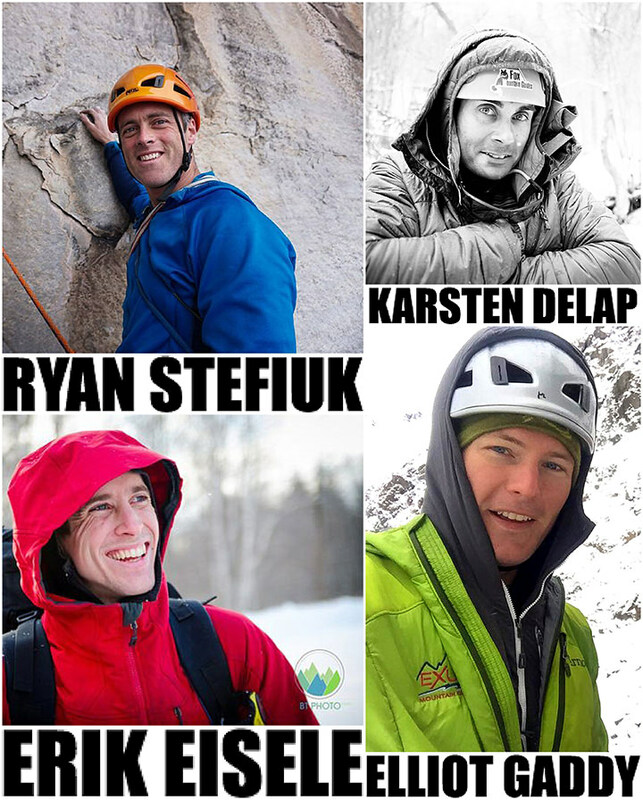 Tonight we want to welcome back four more awesome ice climbing guides to the 2018 Mount Washington Valley Ice Fest! Learn more about them and why they keep coming back to good ol' New Hampshire to guide ice. Here is guest guide, Elliot Gaddy's 2 cents! More on the Ice Fest Blog! MWV ICE FEST: Hey, Elliot. New Hampshire misses ya, but we know Alaska is pretty cool too. 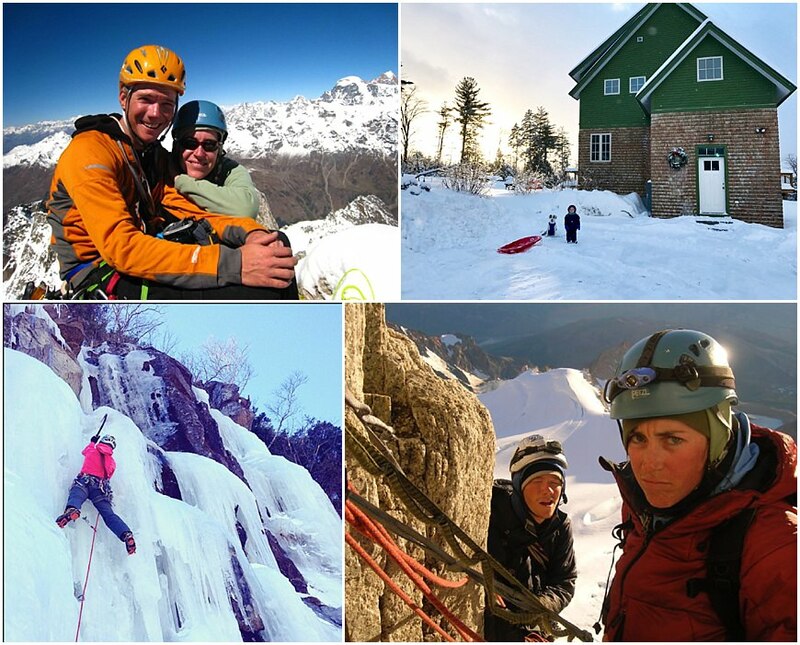 We’re so stoked to have ya back this year, what do you dig about guiding in New Hampshire? ELLIOT: That’s a tough question to answer concisely, one that probably has a lot more to it than simple logistics. Guiding in AK lets me know a lot about what I like about guiding in NH. I really like the access to high quality routes. Drinking coffee at Frontside Grind, and than 30 minutes later at the base of Repentance. Hard to beat that. Its also really valuable to have a community of guides who all share information and ideas. Both of those things make NH my absolute favorite place to guide ice. Check out the demo fleet of Arc'teryx gear coming our way Ice Fest weekend! On the blog today! Tuckerman Brewing Company bringing the kegs! 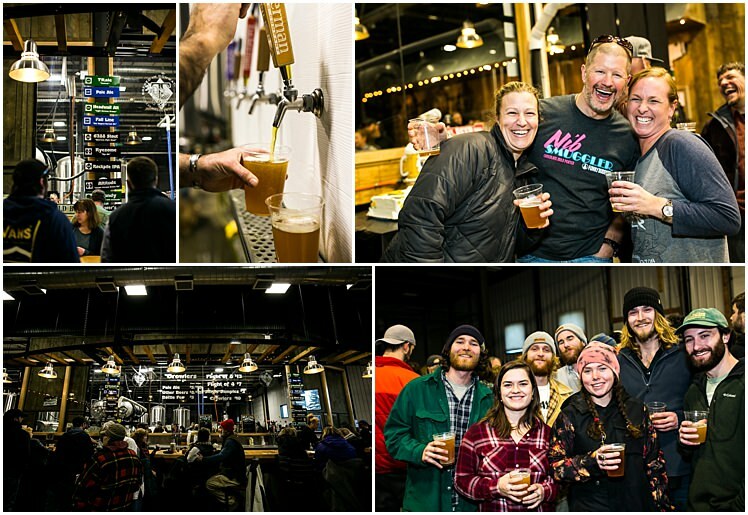 Tuckerman Brewing Company is back this year bringing along tons of kegs of free beer for you all to drink at Apres Hour and the evening events. They generously support our climbing community year after year and we are so grateful. In addition to the Pale Ale and Fall Line, they will also be bringing a specialty keg each night of the brewer's choice. Fun! Surprises! Also, like last year, be sure to purchase an awesome BPA-free, clear cup with awesome logos on it at Apres Hour- proceeds will benefit Mountain Rescue Service! Our friends at Liberty Mountain are bringing back their fleet of Grivel hard goods for you all to demo during Ice Fest! There are a couple new additions to the line up, so check out the blog today! Remember to sign up for a clinic to get first dibs on this sweet gear FREE to try for the day! CiloGear is back this year with their work sacks for you to demo. Check out the blog today for lots of info on this Portland based company thats quietly making some of the most rugged and efficient packs around.